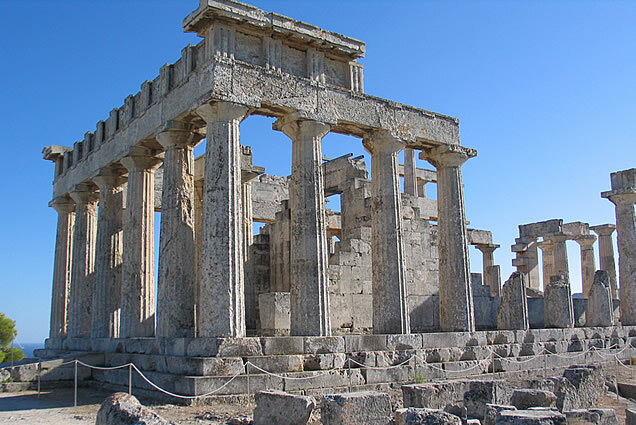 The Temple of Aphaia/ Afea is arguably the jewel in the crown of Aegina island. 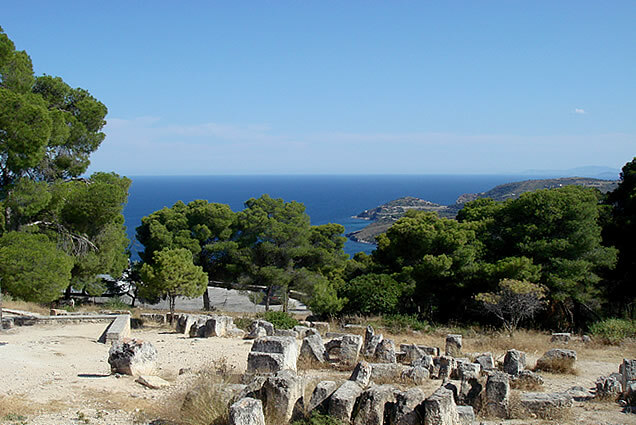 It is a stunning example of ancient architecture set in a beautiful natural forested area with great views across the island to the sea. This church is named after its founder, Agios Nektarios, who died in 1920 and was canonised in 1961. 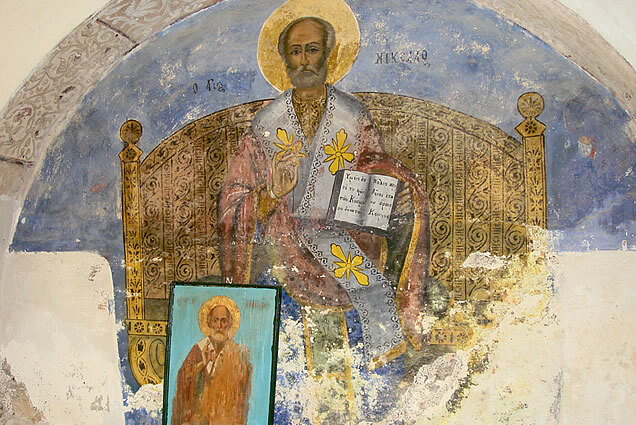 His relics are preserved in the first chapel of the Holy Trinity Monastery, next to the church. 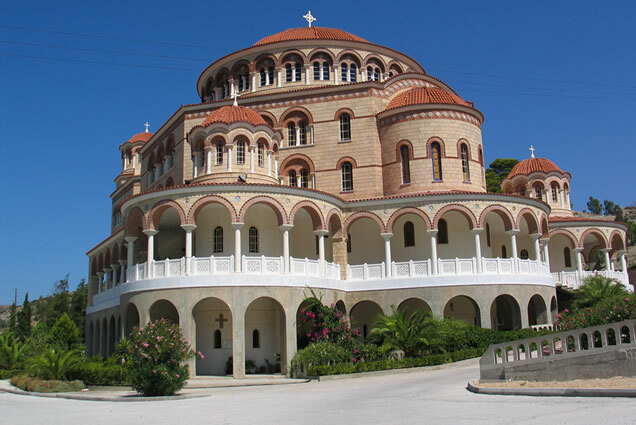 Yearly thousands of people are coming especially to the island to visit the church of Agios Nektarios. 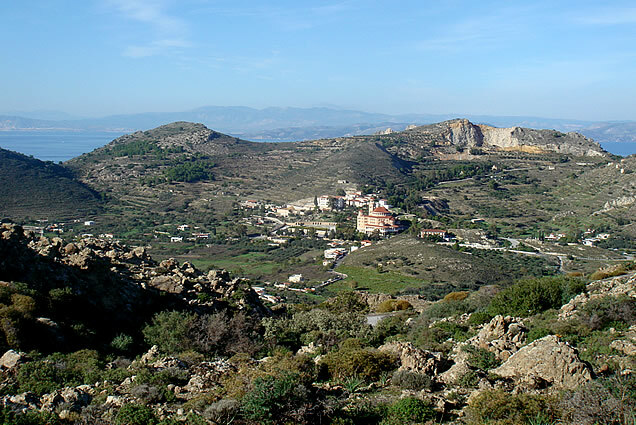 On a steep hill adjacent to the church of Agios Nektarios is located Aegina's version of Mistras - Paleachora, which means literally, Old Town, and which was for a millennium the island capital. Lovely spot for walking. 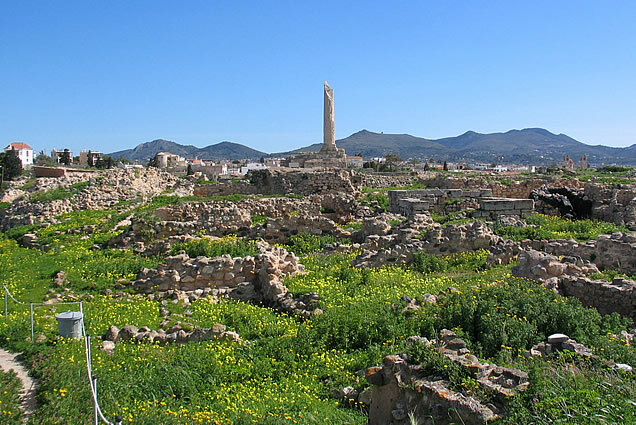 The hill of Kolona, located at a 5 minute walk from the port of Aegina town, was inhabited from prehistoric times through the classical period. 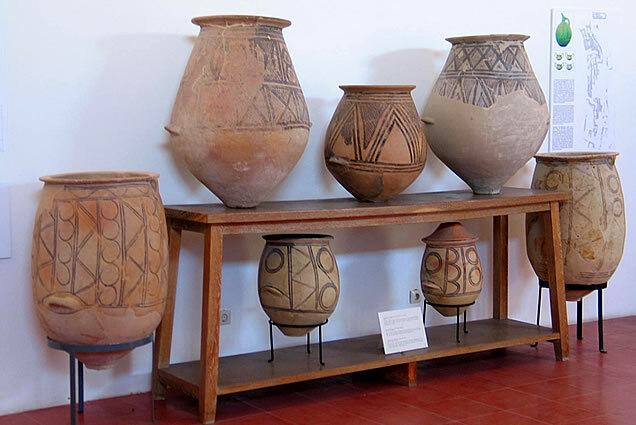 Extensive walls and foundations have been discovered. Because of the compact size of the island it is very easy to go around the island in a day with a motor bike or car. The Blue Dolphin can help you with the rental of a car or motor bike. 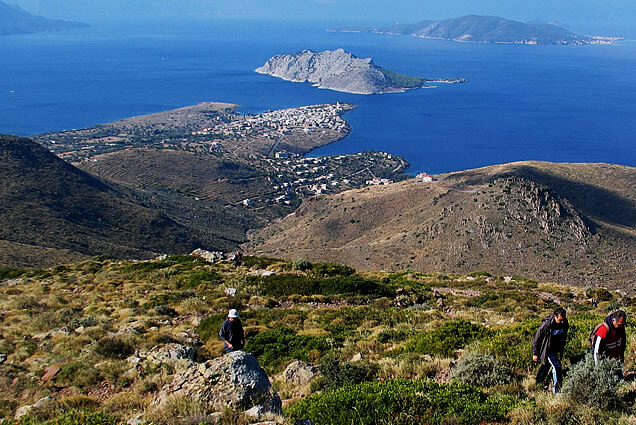 Agistri is the neigbouring island of Aegina. It is only 8 minutes with a small ferry or Flying Dolphin. 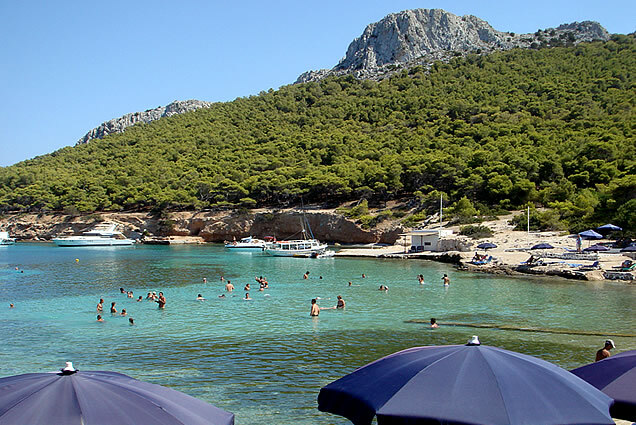 The island is very green, has lovely beaches, offers a big variety of places to eat and is perfect for a day trip. The boats for Agistri leave from the port of Aegina. Distance from Blue Dolphin to Aegina town: 20 car minutes. The Blue Dolphin has its own swimmingpool with sunbeds. At a 2 minute walking distance you are at the beach of Vagia where you can also find sunbeds and umbrellas in the summer months. 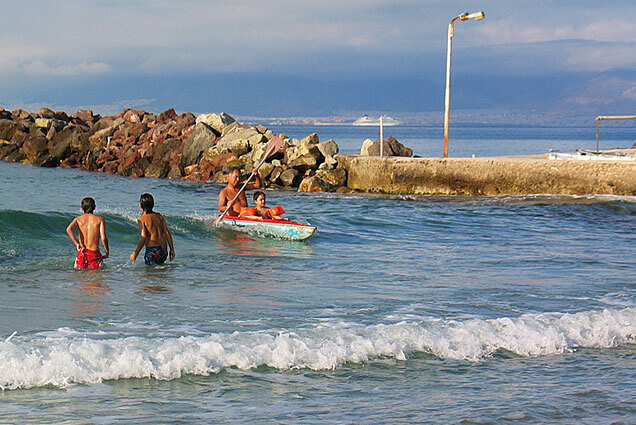 All over the island you can find lovely beaches that can easily be reached by car or motor bike. We can help you book a boat excursion. 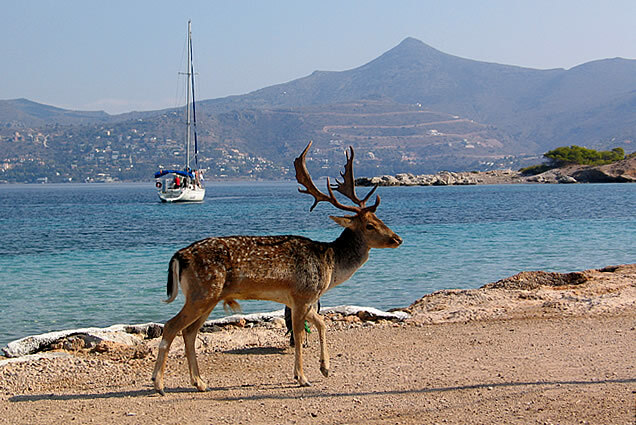 The boat trip leaves at 11:00 from Aegina town and will bring you back around 17:00. Visit some nice beaches, enjoy swimming & snorkeling in the clear waters. Equipment available for divers. BBQ included. Click here to see video. Around the Blue Dolphin you can make some lovely bicycle trips. Have in mind that some routes can be quite exhausting due to the differences in height. Those of you who like horse riding - horse riding is available in Perdika, in the valley of Eleonas and close to Agia Marina. 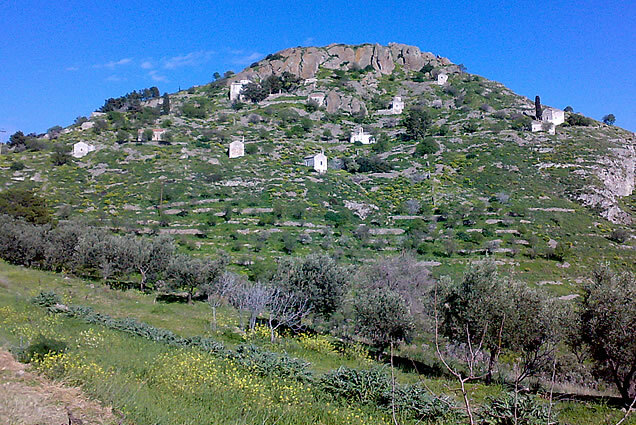 The village of Vagia is surrouned by a green forest where you can make lovely walks towards Agia Marina, Mesagros & Agious. 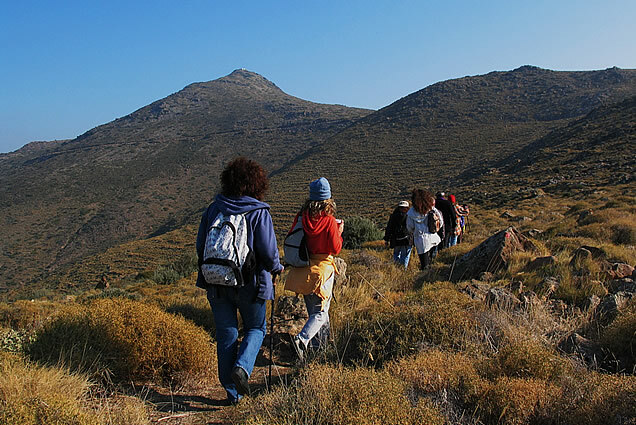 For the more experienced walkers a hike to the top of Mount Oros is highly recommended the views are amazing. Around the area of Mount Oros there are various walking tracks marked. 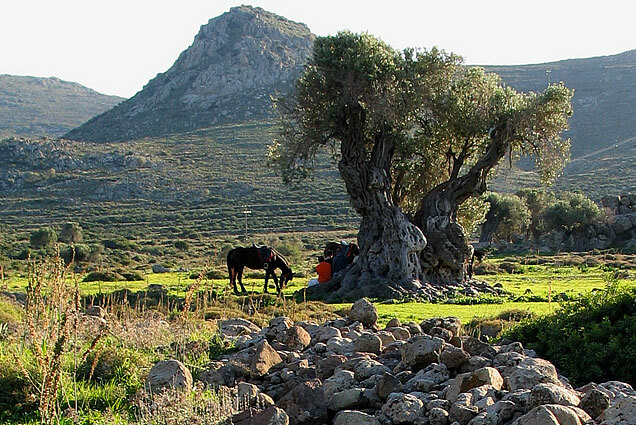 Not to be missed: the valley of Eleonas with its ancient olive trees.